The main research objective is the understanding of the factors involved in the differentiation of eggs and sperm, using the house mouse as a model organism. These differentiation processes are also studied when chromosomal or enviromental conditions (e.g. xenobionts) alter both gametogeneses. 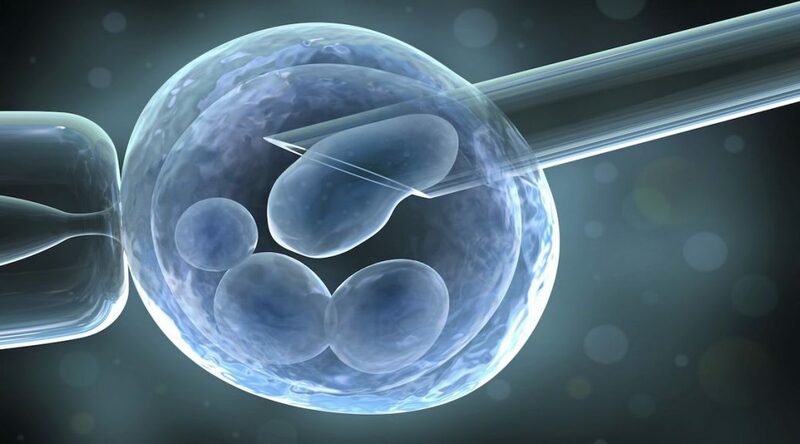 We aim at identifying the markers of the ovarian follicle maturation (oocytes and follicle cells), both in vivo and in a 2D or 3D culture system. A Systems Biology approach that associates high throughput methodologies (transcriptomics, genome-wide DNA-methylation, miRNA) with advanced computational approaches is used to bring out the molecular networks that identify and regulate follicle development and the acquisistion of the egg’s developmental competence. As for the male gamete, our research is focused on the cellular and molecular mechanisms that alterate meiotic progression and sperm differentiation. Our studies have also an evolutionary perspective. To this regard, both oogenesis and spermatogenesis are studied in the armadillo, pertaining to the ancient ammalian superorder of Xenarthra. To understand the contribution of the environment to the processes of cell differentiation, we study the differentiation of pluripotent stem cells (i.e., embryonic stem cells) into cardiomyocytes. According to the World Heath Organisation, cardio-vascular diseases of environmental origin are a health priority. Recent studies have underlined the contribution of xenobiotics, such as dioxin or arsenic, to induce an alteration of the process of cardiomyocyte differentiation and function. Using cytological and molecular markers, together with systems biology tools, we have developed a differentiation platform to monitor the several steps of cardiomyocyte differentiation with the aim of identifying those signaling pathways that are altered by the presence of environmental contaminants (chemicals: e.g., dioxin, PCBs, arsenic; or physical: e.g., ionising radiations). The research activity is documented by 140 publications on indexed international scientific journals or chapters in international books. The mechanisms at the basis of the control and modulaiton of transcription are studied at electron microscopy, with particular emphasis on the action of active molecules (drugs, hypometabolizing agents) and an epigenetic control mechanisms (DNA and RNA methylation and posttraslational histone modificaitons). Cell culture systems and tissue models offer physiologicalexamples for studying transcription and splicing by means of immunocytochemical and hybridization techniques at the ultrastructural level. The induction od a hypometabolic stasis in these systems, moreover, is the basis for a study aimed at controlling the metabolism in organs like liver in view of prolonging the survival time of the explanted organ before reimplantation. The action of cisplatin and new compounds, the [Pt (O, O ‘- acac) (γ-acac) (DMS)] and Pt (IV) bis (carboxylato), is evaluated in vitro on cell lines from tumors of neural origin and in vivo on the postnatal development of areas of the central nervous system in rats (hippocampus and cerebellum). The toxicity of treatment is identified with the activation by the cells of cell death with the consequent alteration of the cell cycle and of cell components such as the cytoplasmic organelles. In the study we are used immunocytochemistry and microscopic techniques, western blotting and cytometric techniques. Collaborations: Prof. FP. Fanizzi, Dipartimento di Scienze e Tecnologie Biologie ed Ambientali (DiSTeBA) dell’Università del Salento, Lecce; Prof. Domenico Osella, Dipartimento di Scienze e Tecnologie Avanzate, Università del Piemonte Orientale “Amedeo Avogadro”, Alessandria. Surgical removal of neoplastic lesions is often the treatment of choice, but complete eradication is achieved only rarely, with probable recurrence of the primary tumor and / or formation of secondary metastases. Adjuvant systemic chemotherapy becomes mandatory as a complement to surgery. Through systemic therapy, however, it can be problematic to get a good distribution of the drug in the lesion site and, in parallel, the toxic effects due to its accumulation in normal tissues can become so severe as to force to stop the therapy itself. In such conditions the local and targeted release of antineoplastic agents becomes essential, although many technical obstacles must be overcome, especially when the lesions are located in regions difficult to access. With this project in collaboration with an oncology surgeons team we intend to study in a rat experimental model the implementation of alternative methods to convey to the tumor site antineoplastic drugs and/or experimental/in clinical use nanoparticles with antineoplastic activity, avoiding their systemic administration. This method is based on the direct incorporation of chemotherapy drugs into biomatrix implantable on-site and/or by incorporation into sub-microscopic particles (liposomal nanoparticles) able to modulate the release of drugs. It will be implanted experimental breast cancer Walker 256 in Sprague-Dawley rat model. The adopted anticancer drugs will be those of choice in these types of cancer: cisplatin and doxorubicin as such, embedded in fibrin gels ( these matrix are already commonly used by surgeons as healing fast acting undergoing surgical resection of the masses tumor) or in the liposomal nanoparticles. In addition to histological and histochemical verification of differently conveyed anticancer drugs action, it also intends to assess the cytotoxic effects affecting heart, kidney, liver and spleen. In a second step we intend to evaluate with the TUNEL test the percentage of apoptotic cells within the tumor masses.